Good health is vital to enjoy life and fulfill God's will yet we live in a sick world. For many Christians, healing is mysterious and vexing. They see healing as hit or miss, and so find it hard to trust God to heal them. Getting Healed builds your confidence in God's Word, enabling you to receive God s healing. It will transform your whole understanding of divine health so you can walk by faith in the healing power of God. Jesus said: Jesus always meant what He said. From careful research of the Scriptures and confirmed by testimonies of actual healings, Bible teacher Derek Walker gives you four key revelations necessary to successfully implement Mark 11:24 to get healed and stay healed. Getting Healed gives you all the knowledge you need to consistently receive healing from God every day of your life! It leads you step by step into believing that you receive healing when you pray. This book is a great investment in your future health and well-being, as well as an excellent source to equip you to minster God's healing power to others. I have had the privilege of knowing Derek Walker and his wife, Hilary, for nearly 20 years at the time of the release of his book on healing. Denise and I have had the privilege of ministering in his church in Oxford, England. During those years I have found him to be a minister who studies with great depth. Yet, when he teaches, he always has the heart and compassion of a pastor—breaking apart the Word of God so that even the youngest Christian can grasp its meaning. So whether he is discussing end times or the new birth, you can be sure that Derek has done his homework. Still he communicates with a humility and gentle spirit that is refreshing. His goal is simply to edify, encourage, and instruct those whom he is teaching. In this volume on the subject of healing, Derek has done it again. 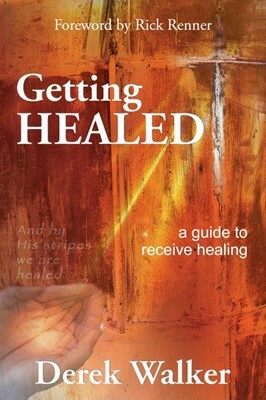 Getting Healed demonstrates the precision of a mathematically trained Oxford graduate, the vitality of a graduate of a Spirit-filled Bible college, and the heart of a pastor encouraging his sheep. Derek truly brings his academic training and pastoral experience to the subject of healing. And from the very opening of this book, he makes his most critical point: healing comes from the Lord. While he goes on to outline an outstanding series of practical steps for individuals to take to receive healing, he avoids the error of so many on this subject—making it sound as if by these mere steps we heal ourselves. The graciousness of God and His place as Healer are properly placed as the foundation of all biblical healing. And upon this foundation, he then lays out the practical, personal steps that each person should take. Grace and response, the very heart of the Bible brought to this vital subject of physical healing. 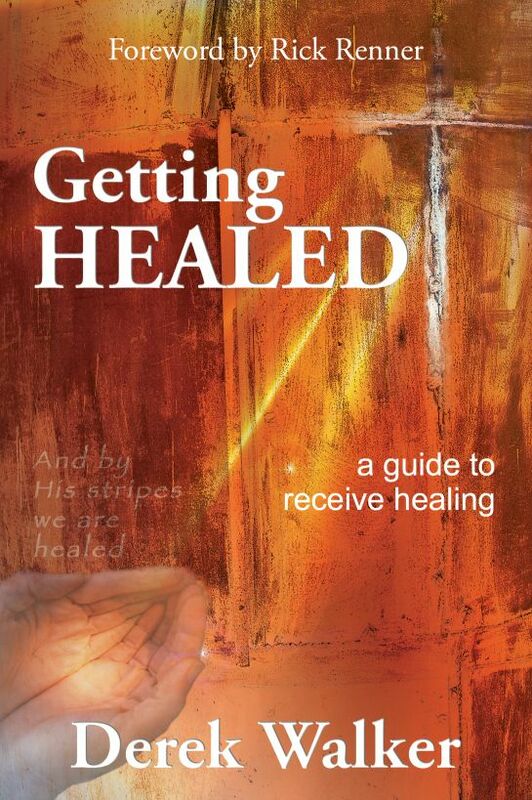 Everyone studying the subject of healing will find this volume profitable and practical. It is my honor to commend this volume to you.